This space welcomes you in and immediately you will feel relaxed. Super location for a weekend away from the hassle and bustle of traffic, but still right in amongst everything the Mount has to offer. 5 minutes ( 1 block) from the beach. 2 blocks from the bars and cafes, and 15 minutes walk to the Mountain for your daily exercise. I am truly blessed to live upstairs, and if you need anything during your stay, just ask. Couch can be slept on by extra guest. Please ask for extra linen and extra tariff. 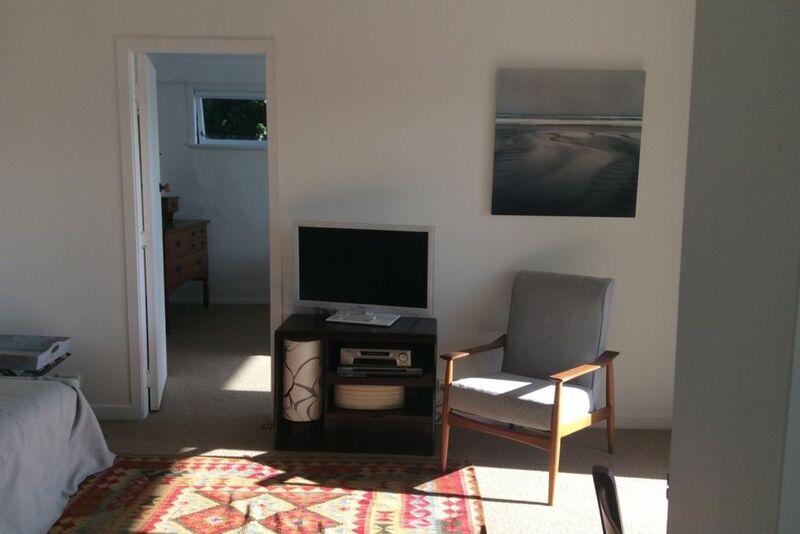 A clean cosy unit just 5 minutes walk from the awesome Mt Maunganui beach. Also 5 minutes to restaurants and shops. Lovely warm and cosy accommodation, all the home comforts included. Lovely place to stay, super clean and tidy. Handy to everything, beach, shops and cafes. My partner and I stayed for the weekend as we attended a wedding. The place is clean, tidy and peaceful . We arrived late Friday and liked the little touches with milk for the morning. The unit is well equipped and bonus having wifi and Netflix ( as it did rain, so movies were great) Amazing shower with high pressure.Lovely outside table and chairs to enjoy. We definitely would stay again here again. Thank you Barb for sharing your paradise with us both. Perfect location to restaurants, beaches and The Mount.